This picture also highlights my super-fashionable (hahaha) burn I obtained ironing clothing to put on a mannequin for a display I was putting together for work. 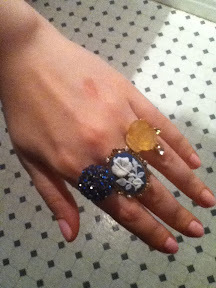 Nice rings, I especially love the cameo ring. Thanks! Cameos are always classic, I swear they go with everything!